Medium is a blogging site designed as an extension of Twitter. The site favors quality over quantity. Medium is based on the belief that the sharing of ideas and experiences is what moves humanity forward. The Internet is the greatest idea-sharing tool ever imagined, but we’ve only scratched the surface of its capabilities. Users write blogs, which appear in one of the site’s many “collections”—such as “Advice to New Graduates” or “Airport Stories”—or on the site’s homepage. Users recommend posts. How prominently a post is displayed on the site depends on how many recommendations it receives. Anyone with a Twitter account can log in and start reading and making recommendations, but users need an invite from Medium to write something. Medium’s focus is raising the quality of what’s produced. 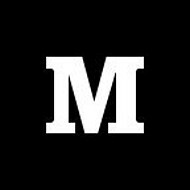 In a world of overwhelming quantities of content, Medium wants to help users direct attention to what’s most valuable, not just what’s interesting and of-the-moment.